Two Wairarapa hockey players have taken a step towards national honours with their selection in New Zealand Under-18 Talent Identification squads. Wairarapa College Year 13 Ethan Presow and St Matthew’s Collegiate Year 13 Natalie Austin have seen their strong form rewarded with selection in the squads. Presow has made his mark with both Waicol and Dalefield this season, and was thrilled to make his first national squad. “It’s awesome because it’s such a highly-contested spot. Presow was part of the Capital Under-18 team that won gold at last months national tournament in Dunedin. He said it had always been a goal to make a New Zealand development team, and selection is this squad is a stepping stone on that path. “The chances of me getting in were pretty slim but I’m absolutely stoked that I’ve made it. 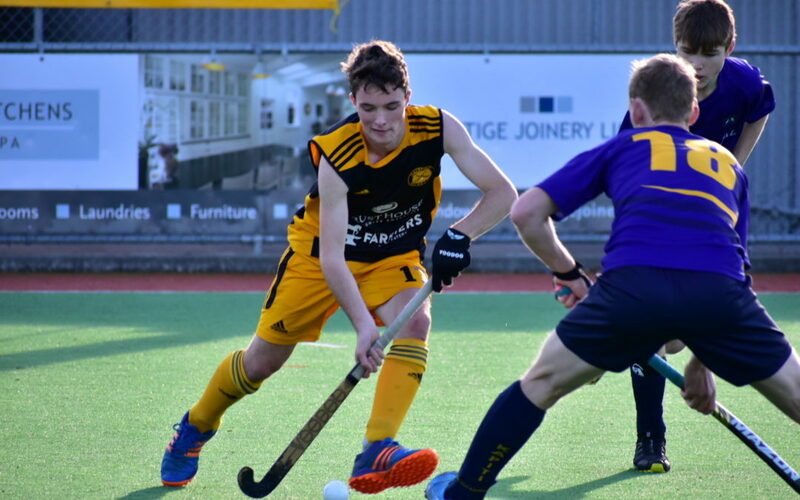 Playing and training with Black Stick Dane Lett and the rest of the Dalefield squad had helped his game immensely, and being able to learn from some of the best players in the Wellington region was something he had enjoyed. “Being in the Dalefield fold has taken my hockey past what I thought it would. The players selected in the identification squads will gather for a training camp in December, but Austin will first attend a specialist goalkeeping camp in October. It is the second year that she has earned selection in the squad, and she will still be eligible as an under-18 next year. She said it was a really good opportunity to further develop her skills. “It means I can develop my skill with higher-level players. Austin has been playing hockey since she was seven years old, and has been a goalkeeper since she was nine. She said the selection process wasn’t over for her yet, as the number of goalkeepers would be cut down after the camp in October. Austin is also in the Capital squad to contest next month’s National Hockey League in Wellington, and said performing well there was one of her main aims for the rest of the season. “I’ll be trying to get some exposure at that tournament there. Both players will also represent their schools at next month’s national secondary school tournaments at Tauranga [boys] and Whangarei [girls].